If you plan on buying a Skoda Kodiaq, it must have something to do with the elegance and sophistication that this monocoque-based SUV offers over it’s rugged, old-school ladder frame-based rivals. And the launch of the new Laurin & Klement variant only adds to that appeal as it packs various additional features and cosmetic enhancements over the previous top-spec Style variant. But is it worth the Rs 1.5 lakh premium that Skoda is asking for it? Let’s find out. On the surface, the cosmetic updates are subtle. Apart from chrome garnishing on the toothed front grille, it also gets body-coloured sills instead of the rugged black cladding seen on the Kodiaq Style variant. Shift towards the side and the only major addition seems to be the Laurin & Klement badging on top of the front fender. But look closely and you’ll notice that the roof rails are now finished in matte silver. The alloy wheels are the same as the ones found on the Style variant. The 18-inch ‘Trinity’ units come shod with 235/55-section tyres. The 19-inch ‘Sirius’ alloy wheels seen on the Skoda Kodiaq L&K showcased at the 2018 Geneva Motor Show have been given a miss. And the rear end? There’s a tinge of sportiness here thanks to the faux dual exhaust outlets a la Kodiaq RS (which we, unfortunately, won’t see in India anytime soon). The exterior updates are on the classy side and the new Magnetic Brown shade of our test car carries forward the same philosophy. The Skoda Kodiaq L&K’s biggest party trick is on the inside. It now gets a new 12.3-inch Virtual Cockpit instrument console that replaces conventional dials with a coloured TFT screen. This unit is similar to the ones seen on more expensive Audi cars, albeit with a slightly different visual setup. It allows access to the car’s vital statistics, navigation, fuel economy and audio setup by simply scrolling through the rocker controls and view button on the right spoke of the steering wheel. Like the Audis, the Virtual Cockpit changes colours according to the selected driving mode. The new variant also gets Skoda’s Area-View system with a 360-degree parking camera. The setup consists of four cameras that not only provides a surround view but a birds-eye view as well. It also lets you zoom in on a particular side of the car to help dodge curbs or any small, unmarked obstacle that might have missed your eye otherwise. That said, the resolution of display could have been a bit better, especially in the night or in dimly lit areas. If you’re wondering, the 8-inch touchscreen infotainment unit remains as is. But you are now greeted by a ‘Laurin & Klement’ logo every time you switch the ignition. Although it gets the 10-speaker Canton sound system from the Style variant, we wish Skoda had equipped it with the brilliant 12-speaker system from the Skoda Superb. Other functional features such as auto headlamps with rain-sensing wipers and the 12-way electrically adjustable front seats with memory function continue to be complemented by feel-good features like three-zone climate control, a massive electric panoramic sunroof, programmable ambient lighting and, of course, the Power Nap Package that comprises of two blankets with holders, manual sunblinds and lateral support extensions for the middle-row to hold your head steady when you doze off. Even the safety features on board are the same as the Style variant, with equipment superior to any other car priced under the Rs 40 lakh bracket. This includes nine airbags, traction control, electronic stability control, hands-free parking, rear parking camera with washer, and fatigue alert. No changes. It continues to be equipped with the 2.0-litre, 4-cylinder diesel engine that also powers the Superb. That said, the Superb gets this engine in a higher state of tune, producing 177PS @ 3600-4000rpm instead of 150PS @ 3500-4000rpm on the Kodiaq. However, the torque output remains the same at 350Nm @ 1750-3000rpm. Refinement levels are right up there with no sign of vibrations even when you are idling. If you are wondering, the NVH levels are fairly controlled as well and engine drone can only be heard when you put the pedal to the metal. Don’t get us wrong, it isn’t bothersome at this point either as it can be washed away by cranking up the AC blower or by just turning the volume knob. The famed 7-speed DSG unit continues to be the crown of the package and does a sweet job of anticipating your throttle inputs and offers precise shifts every time. That said, don’t try any sudden overtaking manoeuvres as this is still a near two-tonne vehicle and that weight definitely makes its presence felt. Ride quality continues to be the Kodiaq’s strength as the SUV almost glides over the smaller potholes and rumble strips despite being slightly on the firmer side at lower speeds. However, it does bob side-to-side when met with broken patches that are longer than the car. 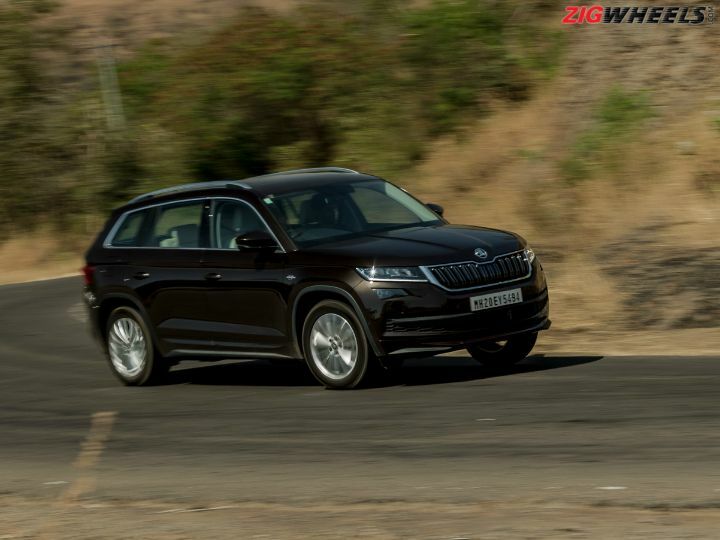 So should you shell out Rs 35.99 lakh (ex-showroom Delhi) for the Skoda Kodiaq Laurin & Klement? Before we answer that, we would like to point out that the Rs 1.5 lakh premium over the Style variant is quite hefty, especially when you consider that the new variant misses out on some must-haves at this price point, including cooled seats that are offered with the Superb. But if you’ve already decided to spend the big bucks on a Kodiaq, you might as well stretch your budget a bit for the extra features that the new Laurin & Klement variant offers. On the day of delivery, the first couple of customers will be given a voucher worth Rs 10,000 which can be redeemed on the bike's accessories. The accessory list includes panniers, hand guards, an extended top rack and a top box. On the day of delivery, the first couple of customers will be given a voucher worth Rs 10,000 which can be redeemed on the bike's accessories. The accessory list includes panniers, hand guards, an extended top rack and a top box.